The summer days are not just about vacations but also the summer heat and sweat. Not everyone has central air conditioning in his or her home nor everyone has more than one air conditioners. The Central air conditioner is expensive to install and operate. Likewise, installing a separate air conditioner for each room is also expensive. This is when portable air conditioner becomes the best choice because it can be wheeled from room to room as required. Portable air conditioners are perfect for cooling spaces ranging from individual rooms to smaller condos and apartments. They are also perfect for apartments without A/C or A/C that doesn’t work effectively and whose landlords don’t allow the installation of window air conditioners. They are also great for offices and summer camping trips. These air conditioners can stand on their own and don’t need to be installed on the wall. 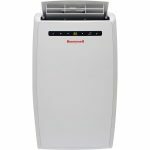 We have prepared a list of 10 best portable air conditioners, after a deep research, to give you an idea of a variety of designs and styles that are available. If you don’t have time to go through long reviews, this comparison table will help you make a choice or have an idea of what you are looking for. 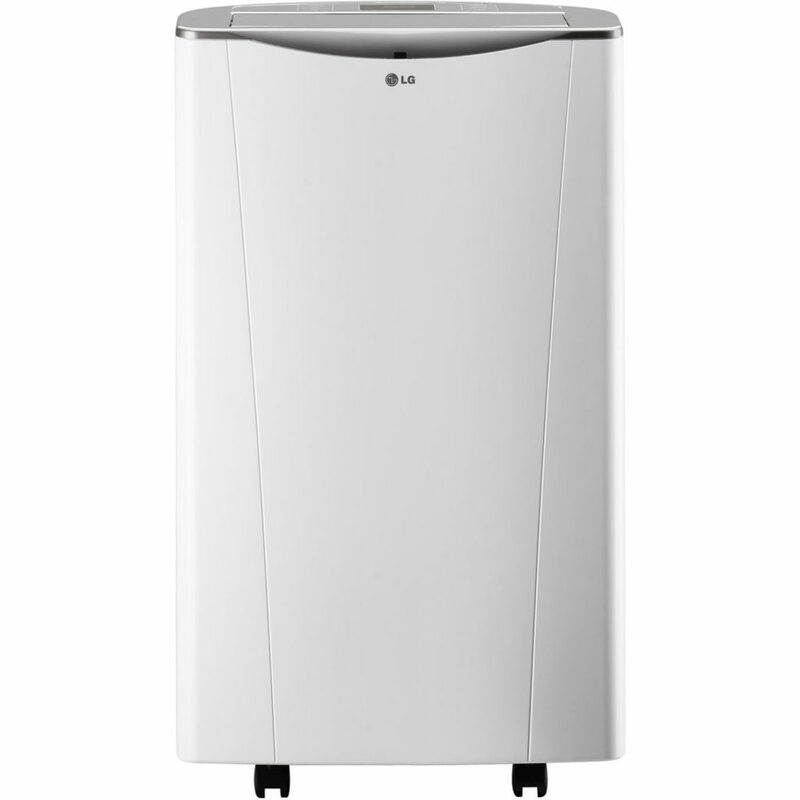 There are a lot of portable air conditioners available in the market to choose from. If you went through the above comparison table and still want to know more about them, we have reviewed those above-listed products in more detail. All of them are awesome but some are really inexpensive and affordable. The following reviews will help you get a better idea about these portable air conditioners. 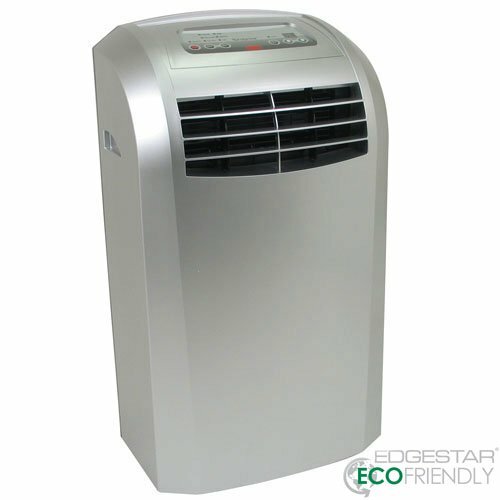 The Portable Air Conditioner from Edgestar is one of the bestsellers. It features 90-pint dehumidifier function, intelligent auto start, a patented auto-drain system, and fully functional remote control. It is equipped with 12,000 BTUs of cooling capacity and can effectively cool 425 square feet area. This compact yet powerful portable air conditioner is perfect for cooling bedrooms and small living spaces. The 90-pint dehumidifier function helps remove the excess humidity from the air, helping the space to feel even cooler and improving air quality. The AP12000S includes an air vent hose and a window kit that expands out to a generous 55” maximum for a convenient fitting. It can be placed in any room without being disruptive as it produces the sound of 52 decibels at low and 54 decibels at high. The automatic drain system is able to exhaust all liquid formed by condensation so there is no need to manually drain. It features 3 fan speeds allowing you to choose between high, medium and low speed to find the perfect setting for air output and noise. The unit features digital thermostat control with a 61ºF to 89ºF setting range, remote control, and caster wheels. It includes a washable pre-filter and one replaceable carbon filter that helps control odors and pollutants. This portable AC is designed to be eco-friendly, uses no ozone-depleting R410A refrigerant and is made with all RoHS compliant components that are free of harmful chemicals. Honeywell is a reputable name that is trustworthy. 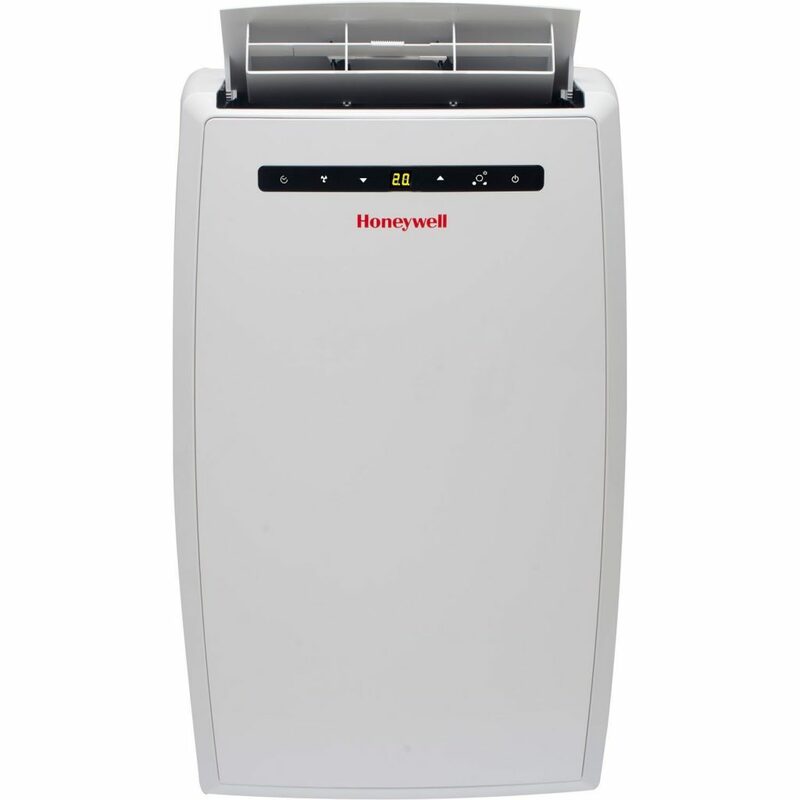 MN12CES is one of the famous portable air conditioners from Honeywell. Though it is big in size, it is built to be convenient and portable. The caster wheels and convenient handles make it easily moveable. Its cooling capacity is 12,000 BTUs and can easily cool up to 450 square feet. It can dehumidify at 70 pints per hour and no bucket is required for dehumidification as it uses an auto-evaporation system. This unit also features a 24-hour timer and a useful protective cover. A very flexible exhaust hose and window venting kit are impressive making the installation process cinch. 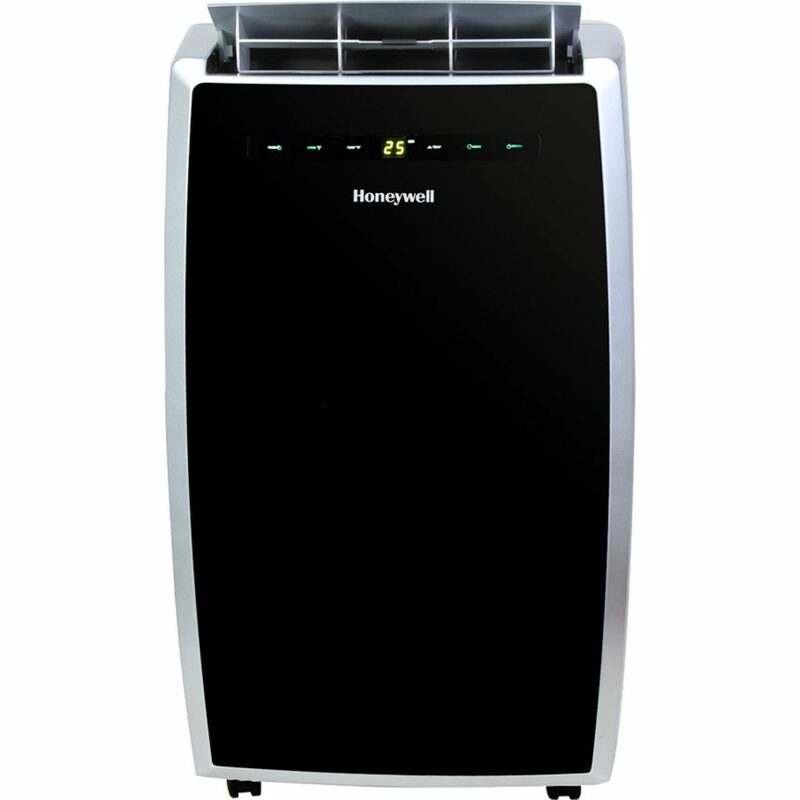 Honeywell MN12CESWW is a powerful unit and performs a quiet operation (53 decibels). The full-function remote control, precise feather-touch control and digital LCD display are pretty handy. 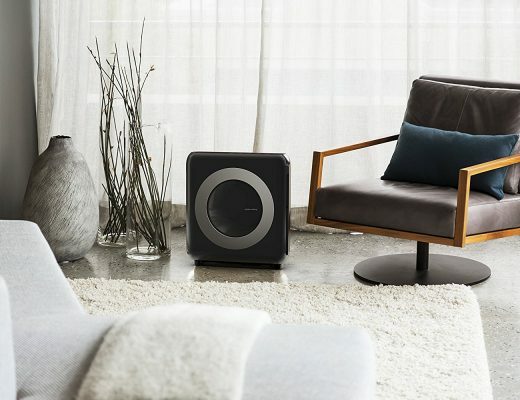 The unit features 3-in-1 technology, 3M electrostatic filter, and a compressor to deliver optimum cooling and dehumidification. It also has a fan-only function. 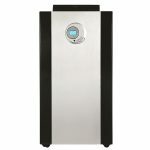 It uses R410A refrigerant so it is an environment-friendly unit. 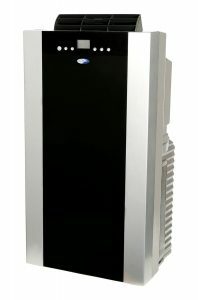 Whynter ARC-14SH has the cooling capacity of 14,000 BTUs along with a dehumidifier. It also has a 13,000 BTUs heating unit. If you want your portable AC to be capable of heating as well, then this one makes a perfect choice. It is versatile as you can use it in summer as well as winter. This unit has the capacity of cooling an area of 500 square feet and dehumidifies 101 pints per day. The fan system is capable of operating at three individual speeds. Though it’s a bulky one, the casters ensure its swift and hassle-free mobility. It features a remote control, 24-hour programmable advanced timer and built-in auto-restart that enables it to restart automatically after power cuts. The full thermostat powered control ranges from 61ºF – 89ºF. The washable pre-filter and highly efficient activated carbon filter remove the pollutants from the air and ensure the supply of clean air. The dual exhaust system ensures the efficient operation and helps you keep your electricity bill low. The installation process and operation is quite simple and quick. However, this unit is a little loud and might be a ruckus at night. This eco-friendly unit will keep you cool while reducing energy consumption. This Honeywell MN10CESWW has got the same features as Honeywell MN12CES that we mentioned earlier. But its cooling capacity is only 10,000 BTU hence; it is better for a smaller room. Its auto-evaporation system enables you to use it for hours without having you to rinse drip-bucket. The noise it produces is 54 decibels, which is tolerable. The fan-only mode offers 3-speed choices of high, low and medium. Apart from the fan-only mode, there are dehumidifier and cooling modes. The venting kit that comes with the unit is easily removable when the unit is not in use. It features LCD display and an easy-to-use control panel with the functions like timer setting, mode change, and speed controls. The 24-hour energy-saving programmable time is an excellent feature that helps you save your monthly electricity bill. 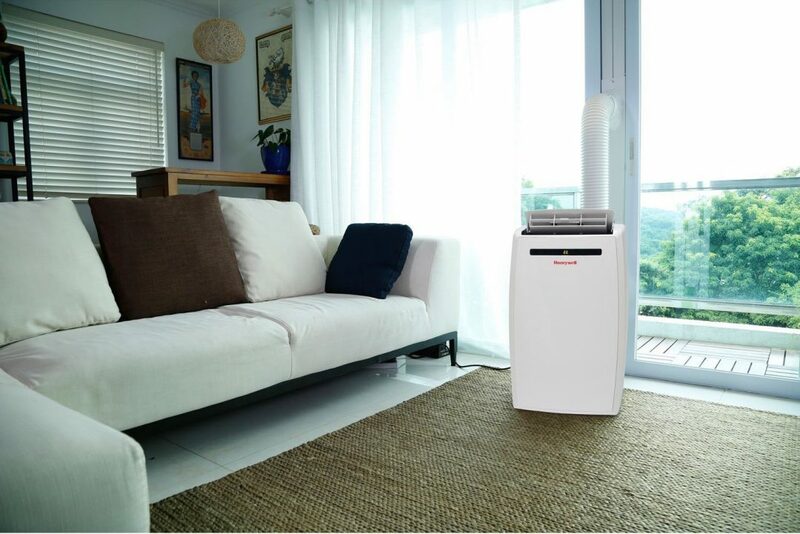 3-in-1 technology ensures healthy and purified chilled air. The 3M electrostatic filter can be easily accessed for washing and maintenance. It features R410A eco-friendly refrigerant for harmless cooling function. This unit delivers premium cooling with extraordinary dehumidification. The only drawback is that the window vent hose is not flexible enough. Other than that, the moderate cooling capacity and flexible features make it one of the popular portable air conditioners. This portable air conditioner from NewAir has the cooling capacity of 10,000 BTUs and can cool the area of around 325 square feet. It is fully assembled when delivered and there is a kit for window installation. 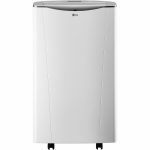 It is compact construction with capabilities of cooling, ventilating and dehumidifying. The auto-evaporative system enables it to operate continuously for many hours without draining. It features customizable temperature settings with a 12-hour programmable timer and sleep mode. It is also energy efficient. Moving the unit around is not a problem, thanks to caster wheels that make its mobility easier and quicker. The unit is capable of dehumidifying hence it prevents the buildup of mold and mildew. It utilizes a high tech self-evaporative system that uses some of the condensations to cool the compressor coils. This will help in increasing the longevity of the unit, which is worth the money. This NewAir portable air conditioner requires ventilation in order to work properly. Hence, you might need to put some effort to create an opening for the vent pipe. Also, the buttons on the unit contain icons instead of words making it not so user-friendly. Nonetheless, with some adjustments, this is one of the good units. 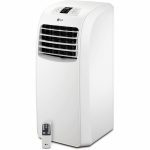 The Whynter ARC-14S is the bestseller portable air conditioner on Amazon. It has the cooling capacity of 14,000 BTUs and dual hose design. It can easily cool an area of 500 square feet with three operational modes; air conditioner, fan (3 speeds) or dehumidifier. The dual hose design makes it more efficient and it can dehumidify 101 pints per day. It comes with remote control and lots of other features such as an auto-restart and an auto-drain condensation removal system. It also features full thermostatic control ranging from 61ºF to 89ºF with digital display and 24-hour programmable timer. The portability of this unit is easier with the 4 caster wheels. The washable pre-filter and highly efficient activated carbon filter remove the pollutants from the air and ensure the supply of clean air. It features R410A eco-friendly refrigerant for harmless cooling function. It comes with a protective cover with storage pocket for user manual and remote control. The dual hose operation provides fast cooling. 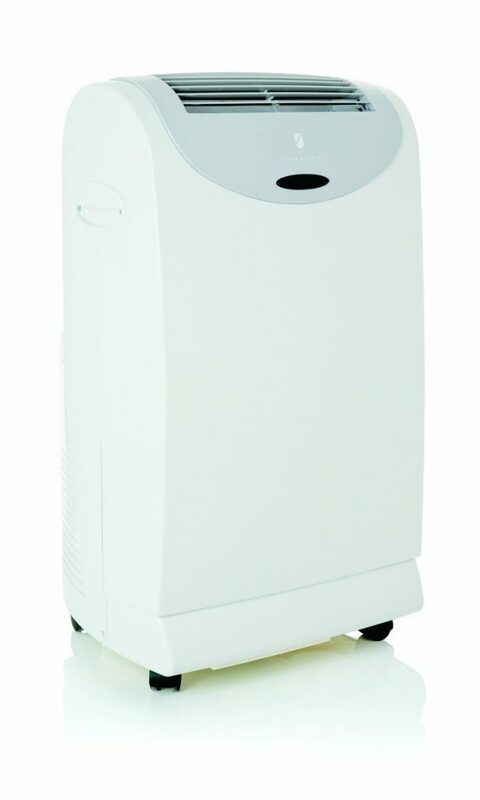 This powerful portable air conditioner is the ideal solution for warm areas. 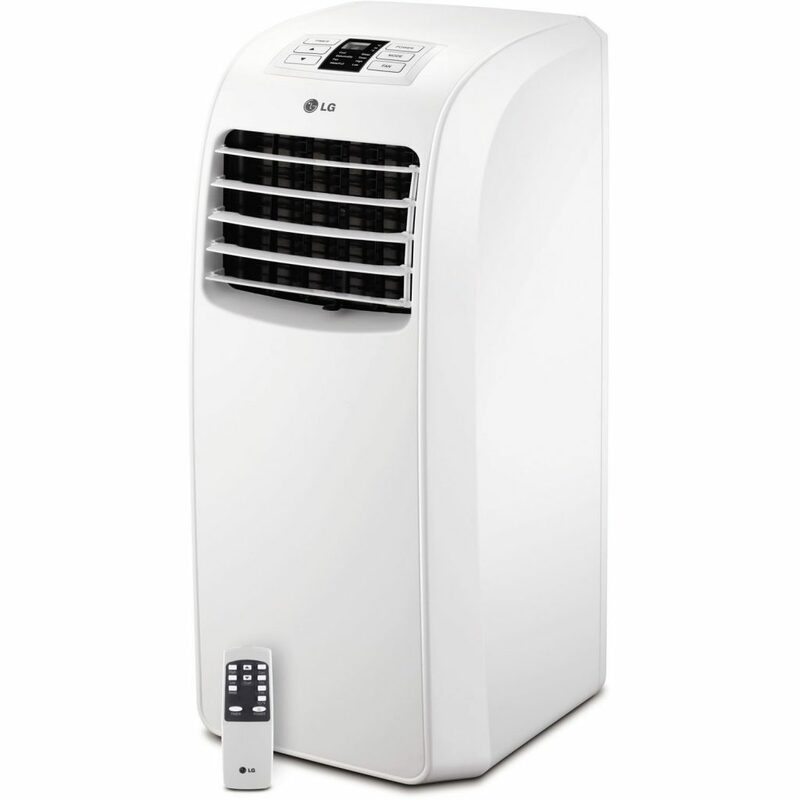 This portable air conditioner from LG has a cooling capacity of 8,000 BTUs and is a lower-priced option for smaller rooms. This can cool up to 200 square feet with dehumidification up to 48 pints per day, however, it is best for a bit smaller rooms. It is one of the quietest portable air conditioners at 55 decibels. It has most of the features that bigger models have, like auto-evaporation, remote control, a programmable timer, and auto-restart. But it has only two fan settings and does not have a separate dehumidification mode. Since the unit has less power it is lighter and easier to move around. The washable filter is easy to remove. However, the window kit is not well made and it takes extra fixing to attach the hose properly. All in all, this portable unit with a sleek temporary design is the ideal cooling solution for when you are on the go. 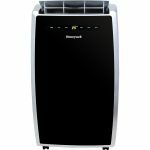 This PH14B portable air conditioner is one of the largest units from Friedrich and is ideal for large rooms and apartments. 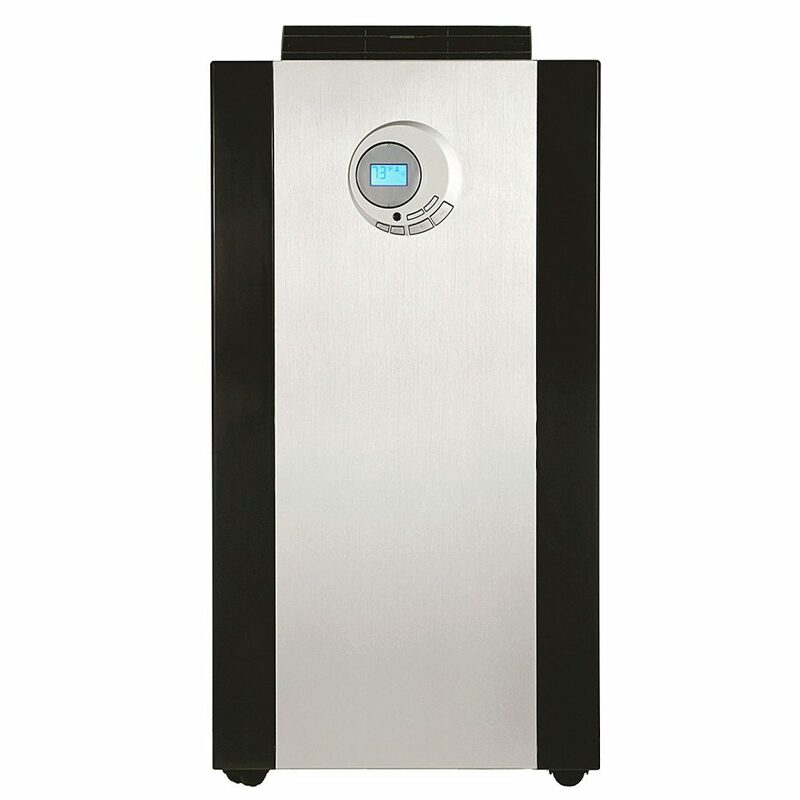 It has the cooling capacity of 13,500 BTUs and is rated to cool 700 square feet. It features an auto-evaporative system that condensates to cool the coils and no drippings. Its dual-hose design makes it more efficient and it can dehumidify 101 pints per day. The unit features 4 operational modes; air conditioner, heater, fan (3 speeds) or dehumidifier. It comes with remote control and other features like 24-hour smart timer and an automatic restart. This unit has the added bonus of the heating function. It is nearly as powerful as a heater with 10,700 BTUs of heating power. The PH14B can compensate for central air systems as well as space heaters in apartments. The durable caster wheels and side handles make its mobility easy and quick. The unit is a bit pricey and heavy to be moved around frequently but it is a quieter unit. The condensation system, energy efficiency, and even cooling make it worth the price. This LP1415WXRSM has the cooling capacity of 14,000 BTUs and can cool up to 500 square feet with dehumidification up to 80 pints per day. It is powerful enough to cool down a room of any size. The cool feature of this unit is the built-in Wi-Fi that adds smart home features to your place. The LG Smart Home app enables you to control your A/C from anywhere in the world allowing you to maintain the best temperature. This unit features an LED display panel and LCD remote control. 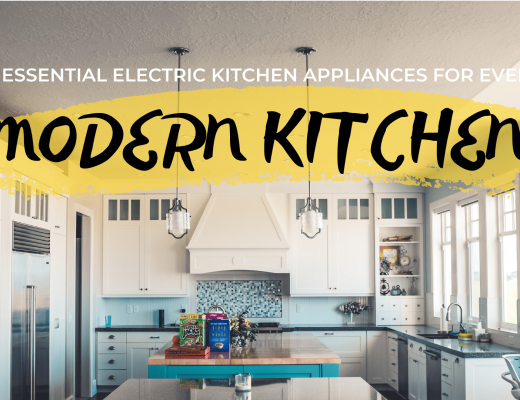 Other features of this product are multiple speeds, 24-hour on/off timer, energy saver mode, and auto-swing top air discharge. The innovative dehumidification function mixes cool dry air with the warm air to keep you comfortable and prevent over-cooling. As the unit is so powerful, it can be noisier than some other portable units. Other than that the performance and easy installation make it one of the great portable air conditioners. 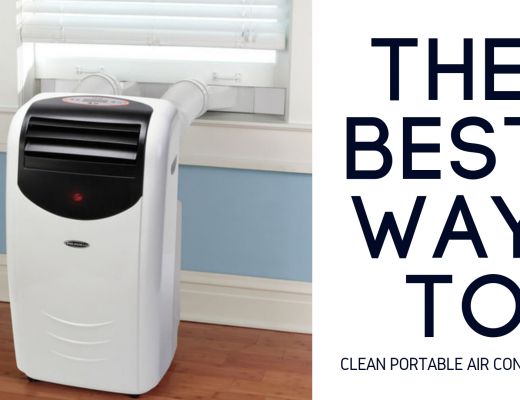 This ARC-143MX is another portable air conditioner from Whynter to make it to our list. It has the cooling capacity of 14,000 BTUs and dehumidifying capacity of 91 pints per day. It features three operational modes; air conditioner, fan, and dehumidifier. A patented advance auto-drain technology that uses and recycles moisture collected during the cooling process to produce cool air. And the dual hose makes it efficient providing fast cooling. The washable pre-filter and 3M Antimicrobial High Air Flow (HAF) air filter remove the pollutants from the air and ensure supply of clean air. The adjustable digital thermostat control range from 61ºF to 89ºF. The other features that this unit includes are remote control, as auto-restart, and 24-hour programmable timer. It also includes an upgraded plastic window kit and extendable exhaust and intake hoses. Designed with specialized commercial applications in mind, it is ideal for any space that requires high-efficiency cooling and low maintenance. It features eco-friendly energy consumption that keeps your electricity bills low. It uses CFC free R410A refrigerant and lead-free ROHS compliant components. The portable air conditioners use refrigerants to absorb the heat from the air. As these refrigerants absorb heat, the refrigerant changes from liquid to gas. In order to pressurize the hot air through the hose, usually, outside, the pressure of the air conditioner creates heat. Then the cool air is pushed out into the room to bring down the temperature. A single-hose portable air conditioner exhausts hot air to outside but draws air from the room itself to be cooled down. Single-hose units are the less expensive type of portable air conditioner and tend to be less bulky. However, according to experts, the single-hose unit produces a negative pressure reducing the efficiency as it actually draws warm air into the room through doors, windows, etc. As the name implies, the dual-hose portable air conditioner has two hoses. It reduces the negative pressure effect and improves cooling efficiency. One of the two hoses is same as exhaust hose of single-hose units and the other hose is an intake hose that feeds air from the outside directly to the portable air conditioner. They are more efficient than single-hose units but they are bulkier and often expensive. Washable Pre-Filters – They come standard with most portable units and can be washed and reused. Replacement is rarely needed. Carbon Filters – They work with a pre-filter to eliminate smoke and odors from the air. They are included in the purchase of some units and are replaceable but not reusable. Antimicrobial Air Filters – They don’t come standard with any portable units but are available for purchase. They capture and retain lint, dust, smoke and mold spores with their unique microstructure and electrostatic charge. Silver Ion Filters – These special filters work as air cleaners. They rid the air of bacteria and control the growth of microbes and keep the environment healthy. There are some factors and features that you need to consider before buying one. Some factors are more important than others but everything comes down to your needs and choice. We hope our buying guide will make things easier for you. This is the most important factor because it is the main reason why you want to buy an air conditioner in the first place. You need to check the cooling capacity and find out the BTUs per hour. BTUs stands for British Thermal Units, and it measures the amount of heat that can be removed from the room in an hour. Higher the BTUs per hour, the greater the cooling capacity. Assuming the height of the room is 8 feet, if the room has an area of 200 square feet, you need 8,000 BTUs; 10,000 BTUs for 300 square feet, 12,000 BTUs for 400 square feet and so on. You will need more cooling capacity if the height of the room is higher, the environment is too hot or the room is not insulated properly. This factor is significant for your utility bills and the environment. Along with the cooling capacity, you also need to check the EER that is Energy Efficient Rating. An EER of 10 is the minimum for the standard air conditioners. It is not attainable for most of the portable units but anything close to 10 us good. EER is related to BTUs. You will get a number of watts by dividing BTUs with EER; a unit with 8,000 BTUs and an EER of 9 takes 889 watts power. Another factor that needs to be considered is the size and weight of the unit. The size and weight are important because it affects the portability of the unit. If you are not going to move it frequently, then big and heavy unit should not be of much of problem. But if you are going to move it around more often, you should opt small and light unit. Also, you need to consider the area to keep it as it needs 18 inches of space all around it for proper ventilation to cool the room efficiently. It is not good if your portable air conditioner gets noisy while cooling you down, not letting you work or sleep properly. Hence, it is important to check the decibel level. If a unit produces 80 decibels of sound, it is 10 times noisier than the one that produces 70 decibels of sound. Some portable units are quiet enough producing only 45 decibels of sound, that is like the sound of a whisper. Make sure to check the decibel before buying the unit. Many find it easy to install a portable air conditioner and doing the proper maintenance. However, it might not be the same case for everyone. It is advisable to read the reviews written by customers to get the idea. It is also recommended to go through the manuals and instructions. Some units are simple to install and some don’t even need maintenance. However, you might still have to drain the collected moisture, clean the filters, and defrost the unit if there’s ice buildup in the coils. Last but not least, price; another important factor to consider. 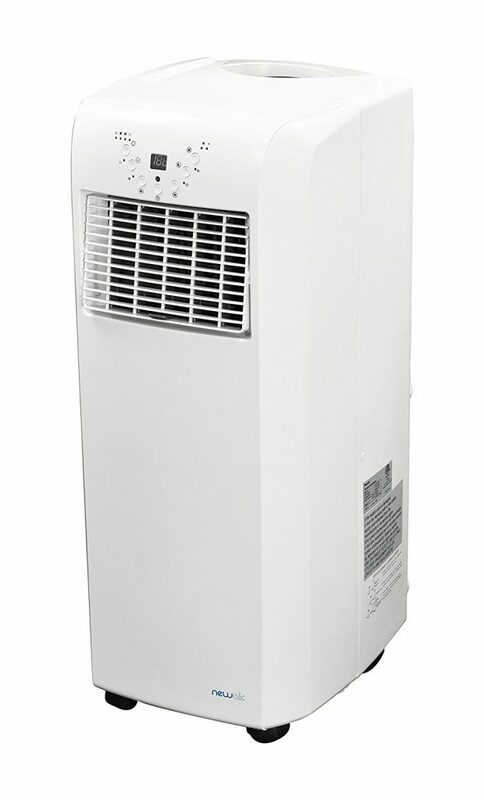 The price of the portable air conditioner depends on its functions and features. The unit with more BTUs or additional features like remote control and timer will be more expensive. Likewise, units from well-known brands may be pricey but a good reputation comes with the quality. The best portable air conditioner may not be available at the low budget but you might not need all the extra features. You can choose a unit that fits your budget. There are many benefits of a portable air conditioner. 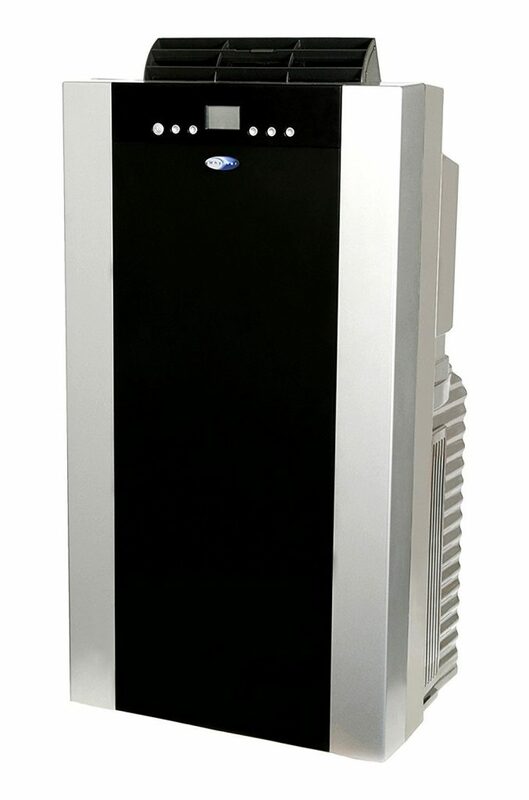 Besides the mobility factor, with these portable air conditioners, you can spot cool areas of habitation or concern rather than using an entire central system. The right one for you depends on your intent of its use, preferred temperature, and budget. Make sure to read the reviews so that you can make the right purchase. 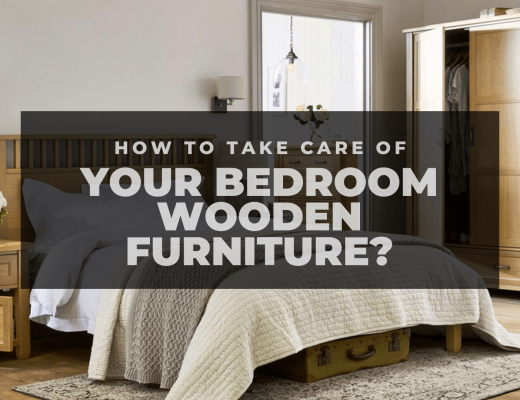 How To Take Care Of Your Bedroom Wooden Furniture? © 2018 - Klassik Essentials team. All Rights Reserved.